It is Melbourne Cup today. So it's school as normal, well almost. 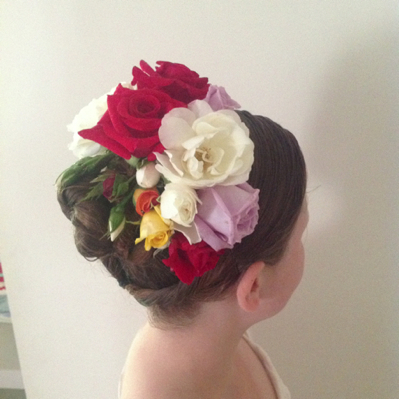 So with every pretty dress you need a hair do. But now she loves it, as do I. Hope they stay there long enough for the fashion parade. She looks beautiful Sharon, the fresh flowers are gorgeous. 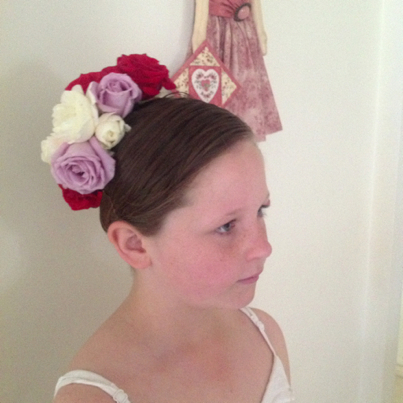 Keegan's rose head dress is beautiful. I bet if she was at the Cup she would make it onto the TV! Oh, my!! 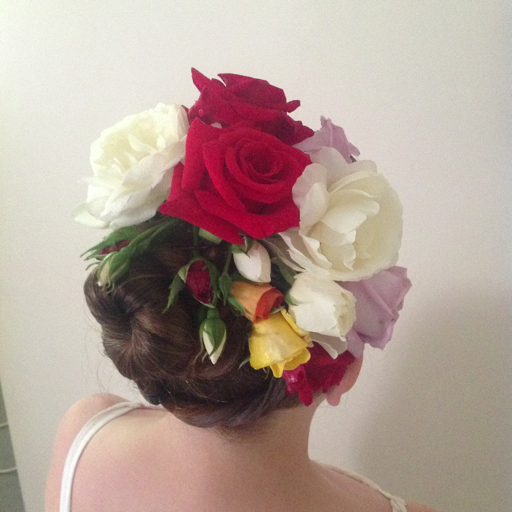 What an absolutely BEAUTIFUL up-do!! Oh, I hope she wins the Fashions on the Field with that beautiful head piece! Hope she doesn't need to run in it though! LOL! What a lovely sight. Both your daughter and her roses. I bet they smelled beautiful too. Well done! Beautiful! The roses at Flemington are always stunning! how wonderful! She looks beautiful and so Flemington! She looks gorgeous. Lovely idea.